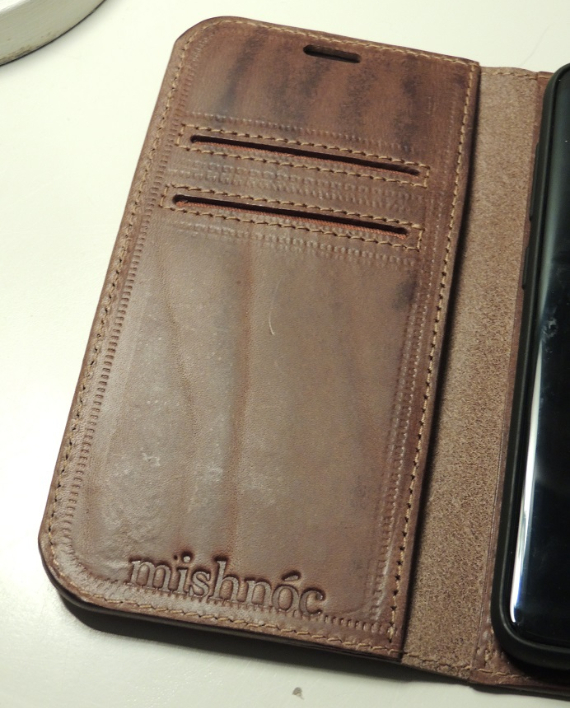 Designed and manufactured entirely by hand at our studio in Athenry, Co-Galway the mishnóc leather phone case rages against cheap plastic alternatives. 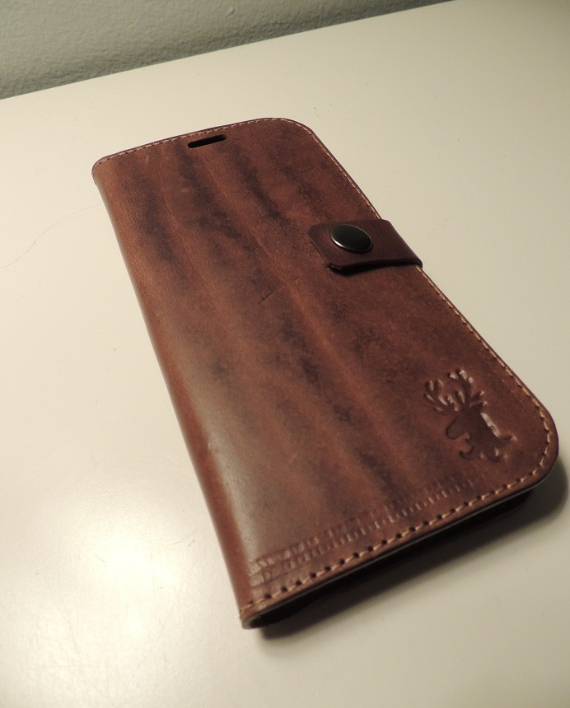 Only the finest European vegetable tanned cow leather is used along with other quality materials. 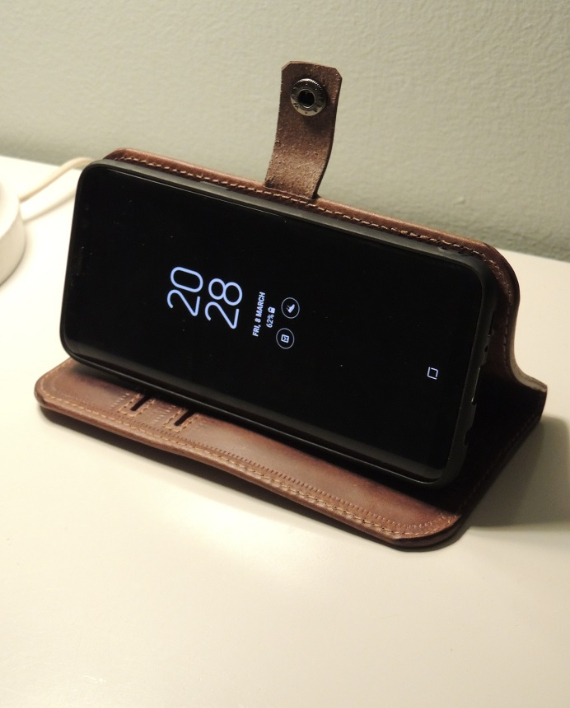 Built tough is our motto on phone covers since 2016 and this is carried through in our 2019 build. Credit card pockets and camera slots are reinforced by stitching and our phone shells are all saddle stitched by hand inside the case. 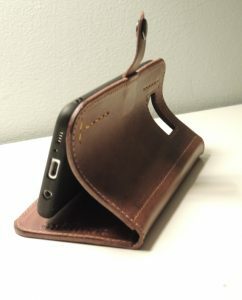 The stand feature as illustrated above is a great when watching video on the go and the speaker cut out in the front cover allows you to answer the phone and then close the cover again to continue your conversation. The cover is made to order and covers the models listed. Samsung Galaxy s8, Samsung Galaxy s9, Samsung Galaxy s9+, Samsung Galaxy s10, iPhone8. iPhoneX, iPhoneXR, iPhoneXS. The cover can be ordered by calling the shop on 091 563859. Delivery times are between 4 and 6 weeks. Tool marks may be seen on the finished product and this is a testament to the handmade nature of the product. Shades and tones may vary slightly as no two parts of a leather hide are the same, again this is testament to the natural materials used for manufacturing your unique cover.